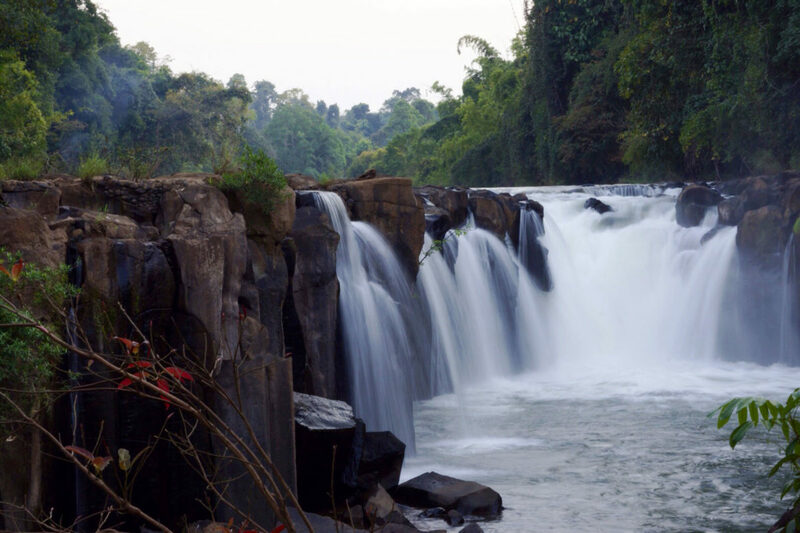 Tad Pha Suam is a wide 6m high waterfall that stretches around a U shaped cliff. 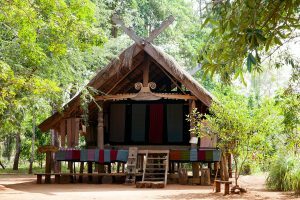 Its name ‘suam’ means ‘room’ in Lao. The falls flow year round from the Houai Champi River as it descends across the Bolaven Plateau from the north in Salavanh province. Spend a lazy afternoon swimming in the large natural rock pool beneath the falls, or enjoy a picnic or lunch at the nearby Uttayan Bachieng Resort restaurant. 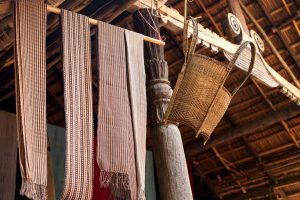 You can also visit the ethnic Lavae model village nearby where you can discover housing styles from different ethnic groups and see handicrafts in the making. 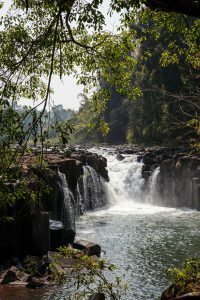 Tad Pha Suam is also the first waterfall in the Bolaven Plateau loop, a 374km round trip that takes four days by motorbike or vehicle. 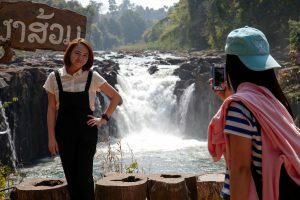 The Pha Suam waterfall and the ethnic Lavae model village are very popular with Thai tour groups. Enjoy a leisurely drink or lunch in the Uttayan Bachieng Resort restaurant. 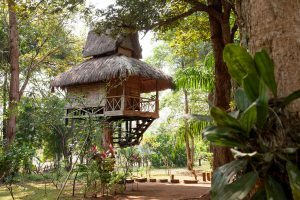 Tad Pha Suam is only 33km from Pakse. Turn left on Km38 on the main road from Pakse. It is a further 2km from there. If you want to take the hassle out of organising your trip, contact one the local tour operators in the area. You can also ask for a customised tour that incorporates other adventure activities such as trekking, kayaking or cycling.